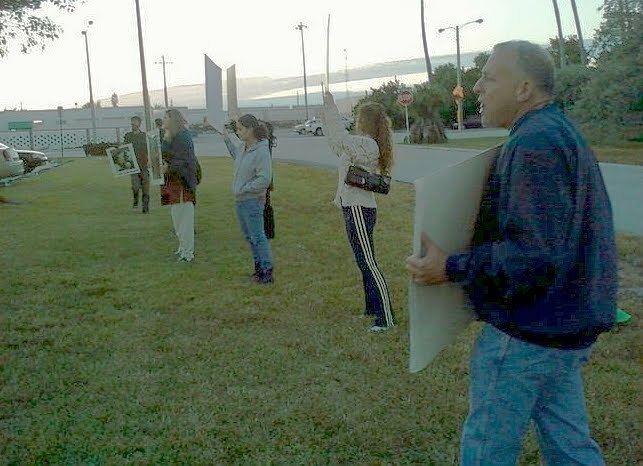 On December 8th, a group of activists returned to Amerijet International HQ in Fort Lauderdale, Florida to protest the company’s sick involvement in the cruel primate trade. 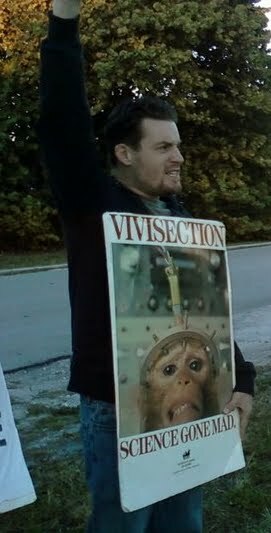 Amerijet is one of the few remaining airlines that still transports primates for the vivisection industry. Therefore, they bear a profound moral responsibility for the primates’ pain, suffering, and eventual deaths in laboratories. We promise to continue to remind them of this guilt. Amerijet has also been cited by the USDA for violating even the very lax Animal Welfare Act. 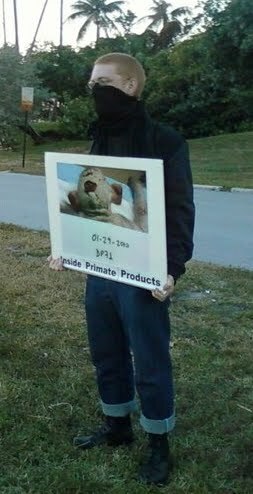 Our protests will persist, unabated, until David Bassett, Amerijet, and HIG Capital put an end to the shameful monkey flights. hopefully, they will stop transporting primates soon, we hope. It was a nice cool day. I loved it but it sure got cold fast!